Ethics: Rules or standards governing the conduct by which we make decisions. Origins: Where do we come from? Destiny: Where are we going? The Human Condition: What is wrong with humans? How do we fix it? So in this post I want to discuss some of the various ways we can approach the existence of God. I am well aware that there are other methods as well. 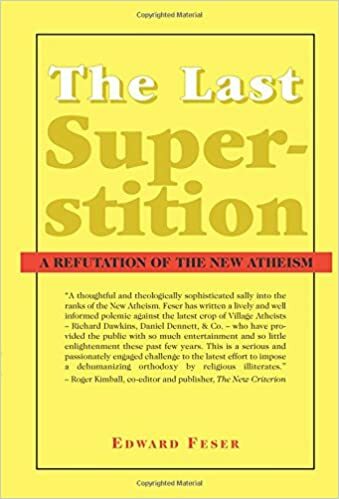 The skeptical issue in our culture mostly enters into the religious dialogue in the following way: “In the case of God, who isn’t some physical object but a divine being, what kind of evidence should we expect to find? There is a tendency to forget that the Bible stresses that sin can dampen the cognitive faculties that God has given us to find Him. Therefore, sin has damaging consequences on the knowing process (Is. 6:9-10; Zech. 7:11-12; Matt. 13:10-13). Thus, people are dead, blinded, and bound to sin. Christianity stresses that the God of the Bible is capable of giving a revelation to mankind through a specific medium. One of the most important themes of the Bible is that since God is free and personal, that he acts on behalf of those whom he loves, and that his actions includes already within history, a partial disclosure of his nature, attributes, and intentions. Revelation is a disclosure of something that has been hidden– an “uncovering,” or “unveiling.” There are three things are needed for a revelation to take place: God, a medium, and a being able to receive the revelation. The mediums God uses in the Bible are General Revelation (The Created Order/Conscience; Rom. 1&2); Special Revelation: Jesus (John 3:16; 14:9; Colossians 2:9; Heb. 1:1-2), The Bible (2 Tim. 3:16); Miracles, Prophecy, Theophanies, Missionaries/Messengers, and other means as well. But why the need for revelation? First, we need to know the character of God. Hence, we need a clear communication to establish the exact nature of God’s character. Who is God and what is He Like? Also, we need a revelation to understand the origin of evil/the Fall. In other words, we need to be educated concerning the reasons for where we are at as a human race. Furthermore, without a clear revelation, people might think they are the result of a blind, naturalistic process instead of being created in the image of God. And without a clear revelation we would not know our destiny. Let me expand on the miracles/prophecy issue a little bit: There seems to be a pattern of how God works in the history of Israel. Every time he is doing something new in their midst, he confirmed what he was doing through a prophet. Signs are used to provide evidence for people to believe the message of God through a prophet of God. When it comes to historical arguments, we ask if God has revealed Himself in the course of human history? If so, when and where has He done this? We can look at religious texts and see if they pass the tests for historicity. Thus, we enter the domain of historical apologetics. The death of Jesus. Note: not many debate whether Jesus actually died by Roman crucifixion. Mostly Muslims disagree (Quran was written 600-640 years after NT). Jesus appeared to many individuals and groups after he died. Paul, once a persecutor, became a follower of Jesus. Why James, once an unbeliever, came to faith in Jesus. How and why the Jesus movement got started and continued on after the death of Jesus. Could it have continued without a resurrection? Why the early followers of Jesus changed their devotional practice to include Jesus (he was worshiped, honored, prayed to, etc). Also see The Argument from Miracles: A Cumulative Case for the Resurrection of Jesus of Nazareth. 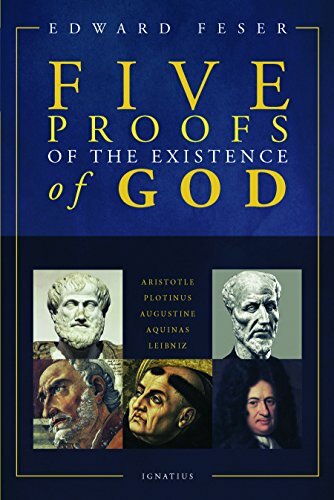 #3: God or Theism as an Explanatory Hypothesis? How do you explain Ultimate Purpose in Life? Abduction can operate when people on both sides of an argument agree on what needs to be explained (certain features of reality) but they disagree on why this feature of reality exists. Why does this feature of reality exist? Is it the result of nature itself or something outside nature? Remember, when we look at the questions above, if you are committed to philosophical naturalism (the idea that nothing exists outside the natural realm of the material universe), you’ll find a way to interpret every piece of data to confirm your naturalistic presuppositions, even if the best inference from evidence points to something else. If we could remember the nature of the object determines how we know it, than for skeptics to constantly say there is no evidence, the first thing to ask “What is the nature of the object they are trying to know?” What is God? Welcome to natural theology! This does have some merit. After all, if the Christian faith is the one true path, it should make a radical difference in the reality of life. The challenge of this argument is that in some cases, it seems Christianity doesn’t work. Christians have challenges in their families, work related issues and relationships. However, just because Christians don’t always reflect the character of Jesus and don’t always show the difference it makes, this doesn’t mean Christianity is false. Furthermore, the Gospel is not “What Can Jesus Do For Me?” but instead a call to die to ourselves and follow the Lord (Luke 9:23). It could be that the person is not under healthy teaching/discipleship or living in sin. So the pragmatic argument can be a tricky one. Everyone knows Christians have done some amazing things for the world (see here), but we also have some inconsistencies. The latest book by Clifford Williams Called Existential Reasons For Belief in God is another approach to why people believe in God. According to Williams, for some people logic and reason are dominant and in others emotion and satisfaction of needs are dominant. 1.Knowing our faith is true though personal experience: Disciples of Jesus are blessed to receive the assurance of the truthfulness of our faith through the work of the Holy Spirit (Rom 8: 16-17; 2 Cor. 2:2). However, people of other faiths claim to have personal revelations/experiences. Thus, people have contradictory religious experiences that seem quite real. For example, Mormons claim that the Holy Spirit confirms their faith as true by a “burning in the bosom”—this is something they consider to be a confirmatory personal experience. Showing our faith is true through reasons and evidence: While religious experience is important, all experience must be grounded by truth and knowledge. Knowledge can be the key thing as to what keeps us close to God over the long haul. Plus, Jesus says we should love him with all our being (i.e., mind, emotions and will). Sometimes people think that personal religious experience negates the need for having other good reasons for faith. But think about this: Would you accept Islam as true if a Muslim said to you, “I know Islam is true because of my personal experience.” Or, what if a Mormon said to you, “I know Mormonism is true because of personal experience.” The list goes on. I assume many of us wouldn’t consider Islam nor Mormonism as being true based on these comments. Therefore, perhaps when we say, “I follow Jesus because of my personal experience,” some people aren’t very impressed. In conclusion, religious experience should be one aspect of our overall cumulative case for our faith. There are several other approaches to the existence of God. Given humans are emotional, intellectual, and volitional creatures, there is no “one size fits all approach.” I hope that has caused you to go further in the question of God’s existence.
. W.L. Craig, Reasonable Faith: Christian Faith and Apologetics 3rd ed. (Wheaton: Crossway, 2008), 43-60. What’s the Difference Between the Resurrection of Lazarus and the Resurrection of Jesus?